What really happened in the 2000 Presidential election — and can it happen again? 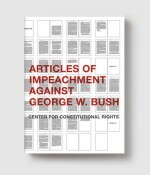 It was the most tumultuous and uncertain transition of power in the history of the United States, and yet, to most Americans, what really happened in the 2000 presidential election remains unclear—something went wrong in Florida, but the Supreme Court cleared it up and then, er, everyone was happy . . . right? But who actually won the Florida vote recount? What, exactly, did the Supreme Court decide? Was there truly no dissent? 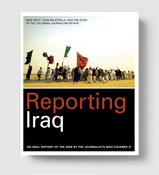 What role did the mass media play? 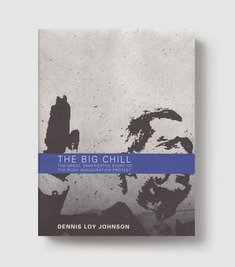 In The Big Chill, Dennis Loy Johnson provides a gripping first person account of the enormous protest on inauguration day, which included scenes of violence and the most massive police and military presence ever in the capital—and yet went largely unreported. The Big Chill is one of three hard-hitting books published by Melville House (The Road to Illegitimacy, Irreparable Harm and The Big Chill) that take a close look at the 2000 election – based on three pieces of investigative journalism originally filed at the time, by three of the country’s top journalists. These three insightful books are riveting history. But more importantly, they may help troubled Americans with one of the most pressing questions we face: Can it happen again?